The Lydian String Quartet will be premiering a large new work, Treatises for an Unrecovered Past, commissioned from Kurt Rohde, who is at present a Radcliffe Fellow. He was the prize-winner in Lydian String Quartet Commission Competition, generously funded by two friends of Brandeis University, where the Lydian Quartet has been in residence since 1980. Also on the April 6th program, at Brandeis’s Slosberg Auditorium—Beethoven’s Quartet in B flat Major, Op. 130, with the Grosse Fugue. Tickets priced at $20 may be ordered here. Kurt Rohde (b. 1967), on the faculty of the University of California, Davis, has composed for many diverse ensembles. His new string quartet was finished just this last December; its movement titles tell a lot about its program. The work’s point of view seems to be from a distant, post-apocalyptic future, during which sound fragments and other “artifacts” from our own fractious time are discovered and puzzled over and interpreted. There is violent, disjunct music, and there are stretches of great meditative beauty as well. Bits of our popular culture are quoted (Jimmy Hendrix’s “Are you experienced?”, Toto’s “Africa”). The scope of the work and its references conjure up large-scale works like “Rite of Spring” (a view from our own time back the prehistoric past). As with Stravinsky’s epic ballet, our perception of historic time is expanded in both its obvious allusions as well as in its provocative soundscapes. The last movement of Treatises is dedicated to the memory of Mary Ruth Ray, the Lydian String Quartet’s violist, who died just two months ago. She was an enthusiastic follower of the work’s progress, and the Quartet thinks of the premiere as a sort of memorial tribute even though the larger work was not intended as such. Violist Mark Berger will be playing viola in this performance along with regular members Daniel Stepner, Judith Eissenberg and Joshua Gordon. 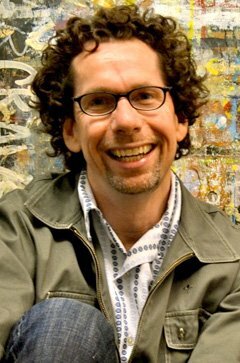 Kurt Rohde will be here for the premiere and will be speaking about the work at a pre-concert lecture (7pm, April 6, 2012). Stepner: The techniques used in the quartet conjure up the primitive (tuning, open strings, harmonics, repetitive rhythms), and also the ultra-modern (microtones, scraping sounds, instrumental “slaps,” disjunct rhythms, etc). To my mind they suggest that the probability that experimental sounds have been a practice of musicians (e.g. microtones of Vicentino, the chromaticism of Gesualdo, the string techniques of early Italian violinists, etc.) since time immemorial. What got published and taught was just a narrow, acceptable range of these practices, indicating to some extent the moral tone of a particular time. Did you have a sense of a need to unite past and present in this work? Doesn’t it strike you as remarkable that the sliver of practices that have survived over the centuries have become the basis for our entire tradition? So many options were jettisoned altogether for any number of reasons. And yet, we still have an extraordinary range of work that was, and still is being created. Rohde: It feels as if with anything I do (from going hiking in the wilderness of the Southwest to trying to figure out my tax return), it is about the past, or as much of the past that I have experienced so far. It astounds me to recognize that my life, like all of our lives, has a story: It is built upon a starting point, moving forward towards the end point. For the time being, the present is the end point, until the arrival of the final fixed end point, my death. And between those two points is my history: While there will be those who knew me and will remember me, my full, complete history will be lost eventually as those people live and die, and their history fades. With time, I will be forgotten altogether. This temporariness fascinates me. I guess that is where the music comes in. For this piece, as with almost any piece I compose, there is a story inside of it. It is actually unimportant to know what that story is because I want the music to be good and carry the listener. The music becomes its own narrative, beyond words, or perhaps before words. It is true that I conceived of this as being a piece where it is “present” music reassembled at some future time, but I am fully cognizant of the fact that this is not possible. What is really happening is “past” music being reassembled in the present. Composing can be as if I am a salvager of sorts. I have no problem using any “thing” and repurposing it so that it becomes purposeful to the expression of my musical intention. A microtone is no different than a pitch from a tempered scale; they are both simple options from a larger system that allows one to create a sound and connect it from one moment to the next. The techniques I use are quite tame and conservative. This is because I only use what is relevant to the music; using restraint is important because it can become extremely seductive to use techniques for the sake of using them. If the music becomes about the techniques, then I have not done my job well. In all honesty, I do not think of them as such when I am composing, but rather incorporate these techniques as part of the overall musical fabric. But now we are talking about process, and not the intention. I do not write music that is meant to be heard only once: I want it to be heard over and over and have the listeners experience different realizations each time. Speak about a SIMPLE goal! You mention of Fludd and Kepler as influences in your program notes. This brings up the realms of cosmology, magic, secret rites, alternate views of creation and the physical world. Your dramatic, futuristic view-point of the new quartet — some time in a post-apocalyptic future, I assume, looking back on our own fractious times — bespeaks a fear of the near future that many people share. You mention your own constant awareness of mortality. Did you have conscious hopes that the quartet’s perspective — the movement titles, their implications, images conjured up, etc. — will contribute in some way to our survival? It is interesting that your interpret my vision of the future in which this music would be found as being post-apocalyptic: I thought of it as post-rapture, which is in meant as a more “hopeful” or less “final” version of the future. It is not uncommon for the occupiers of a given “present” to feel like their age is not that far from a final apocalyptic age. Were there a rapture, I would be one of those left behind, and I would try to make the best of it. That said, the future I imagine is extremely foreign and not all that clear to me, probably not unlike the future imagined by those in medieval times or around 1890. All I know is that it is ahead of us, and I really have no idea what it is. And this lack of clarity is oddly connected to the cosmologies of Fludd and Kepler. Their work is as much about the understanding of the universe and how it works, as it is about how one understands/interprets their manifestos. Their correspondences with one another detail the struggles they had with being quite creative and trying to explain the universe. The disagreements they had with one another are as intriguing as are the systems they devised in trying to explain the world around them. I love how the science of the past is the magic of the present: I am not sure what that makes the magic of the past. I feel music is neither scientific nor magical, and yet we use science to explain it and want it to be magical. I do think music operates outside of language, and in many cases, might even be outside of the idea of concepts. We all know how difficult it is to explain music with words. When we have discussions describing music, we tend to use metaphor a lot. The affect a piece of music creates is very important to me. And with affect, come images and memory and a collision of not fully formed ideas, and ultimately feelings and reactions: That is what I want to happen with my music. If in that moment we can let the world fall away briefly as a result, then I think that is as much as I can contribute to our survival. If we survive this moment and get to the next one, then I think we have already beaten the odds. A Professor of the Practice on the faculty at Brandeis University, Mr. Stepner is also a member of Boston Museum Trio and artistic director of the Aston Magna Festival in the Berkshires.